Headhunter company is similar as recruitment agency but they more focus on recruit professional or multi skills employees. So, what can a headhunter company help you in recruit talents? If you are looking for talent for your business, don’t forget about the function of headhunter company. Hire them to assist you in recruit talent instead of wasting your precious time to handle complicated recruitment process. Not only can it take some of the pressure off you when it comes to finding job candidates, but it can also help you find better employees. They will help you to find the best talent that meet your requirements and fit to your company culture. Professional recruiters generally have a pool of talent that they can choose from, so the search doesn’t have to start from the bottom. Instead, you’ll know that your headhunter is searching from a group of job candidates who just might be perfect for your company. This can help you avoid wasting time and resources on job candidates who just aren’t a good fit for the company or the position. It can be challenging to screen through all the applicants and resumes and decide who will be a good fit for the job. As a headhunter, find a suitable talent for a company is their daily basis, they are familiar and expert in recruitment and will be more likely to find the right candidates. For example, they know which signs indicate that a candidate may be perfect for the job at hand. Interview is the most important process before you decide to hire which candidate. It is also the process that spend more time compare to other recruitment steps. It is so struggling to interview hundred of candidates just to look for one person to fill in a job position. If you work with headhunter, they can offer you tips and advice for hosting the perfect interview and choosing the perfect candidate. 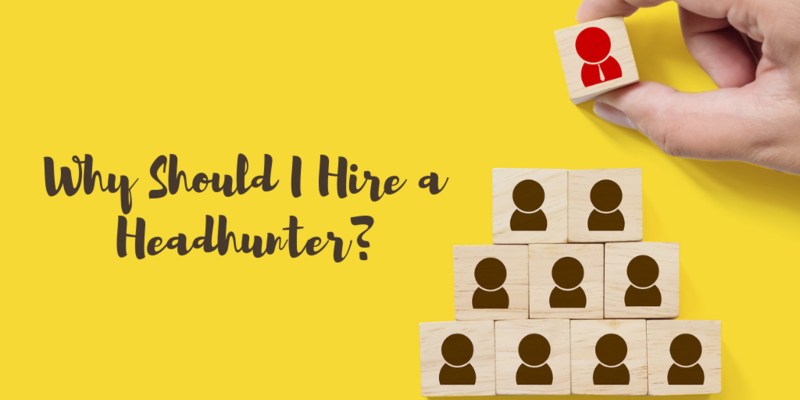 Hire headhunter can help simplify the process and increase your chances of hiring the right talent. Struggling in hiring tech talent?